Samsung employees have formed their very own amateur orchestra, known as the Samsung Electronics Nano Philharmonic Orchestra. Seongchan Jang, the orchestra’s pianist, was a young musical prodigy, who eventually decided to pursue piano for fun, rather than as a profession. He studied engineering at college, believing that music and science have a lot to offer each other, before joining Samsung’s SSD Development team. After hearing Jang practicing, the conductor of the Nano Philharmonic Orchestra invited Jang to be their pianist, where he is an important part of this society of talented musicians within Samsung. Tucked inside the DSR (Device Solutions Research) Tower of Samsung’s Hwaseong Campus in South Korea, there is a special room dedicated to employees’ musical talents. Gifted individuals from across the company come together to form the Samsung Electronics Nano Philharmonic Orchestra, creating beautiful music in their free time, as well as innovative products during their working hours. One member of this accomplished group is Seongchan Jang, an engineer in the SSD Development Team, who is also a gifted pianist. Jang started playing the piano early in life, and it soon became apparent that he had both enthusiasm and flair in abundance. During his early years, Jang channeled his passions into the piano. From second grade until sixth grade he attended specialist school to prepare for entry into Korea National University of Arts. During his adolescence, a number of factors contributed to his decision to stop playing classical piano. Over time, his priorities had changed and, as for many youthful teens, there was a hint of rebellion. After leaving the specialist school and returning to public education, Jang paid great attention to his academic life. He chose to focus on the sciences to prepare for college, but he did not give up playing the piano entirely. Following in the footsteps of his brother, Jang studied engineering at college. Even then, he was consistent in his piano practice, undertaking an elective class in music. Despite the differences in the two disciplines, Jang maintains that there are certain characteristics that bind them together. Intrigued by the semiconductor field while at college, Jang joined Samsung after he graduated. At first, he did not know if there would be a place for him in the Nano Philharmonic Orchestra. The sincere dedication of the orchestra members shines through in the practice room. One can often see people cutting their lunches short to fit in some extra music practice. 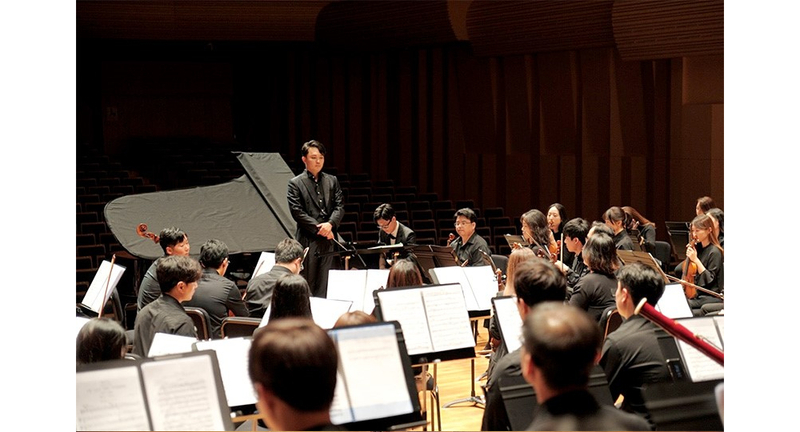 Participating in the orchestra has also prompted Jang to think about his aspirations and dreams. 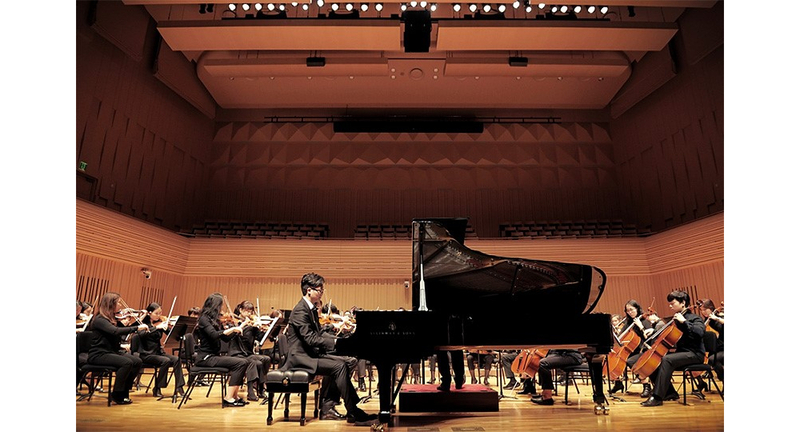 See Jang play the piano as an ensemble member of the Nano Philharmonic Orchestra below.